I forgot to drain my hot water heater and low and behold buildup of sediment and dirt filled the hot water heater and now I have to replace a two year old hot water heater sooner than expected. Yikes! Where am I going to get the money so that my showers are at least warm and my dishes get clean with good hot water? This happens all the time and you may have run into this scenario and others like it when it comes to managing your house and specifically your household finances. The result is that a lot money is needed to replace a hot water heater but an hour of my time each year is all I need to drain my hot water heater. So how is the best way to manage all the details of my home to help me better manage my household finances? Household finances fall into five categories: House Values, House Related Monthly Expenses, Maintenance and Repair Costs, Home Inventory Values, and Home Remodel Project Costs. House values are what they seem. Understanding your home’s purchase price, appraisal value, insurance coverage and more. It is important to understand the value of your home against the money or mortgage you owe on the home in order to understand how much equity you have in your home. The equity in your home can be used to secure another loan for remodels like adding extra space for new additions to the family or converting a living room into an office. Monthly expenses for our homes is one of the biggest expenses we have as homeowners in our overall financial budgets second only to healthcare costs. Monthly household expenses depend on where you live. However there are some estimates that can help you better manage your household finances. Property expenses including mortgage, tax and insurances result in about 30% of your financial spend. While utility costs like gas, electric, water, garbage collection, etc. is about 10% of your financial spend. Managing the use of your utilities will help you understand when energy efficient solutions need to be added to make great enhancements to your home and your overall household finances. Because energy efficient enhancements can actually reduce your monthly spend. Estimating annual maintenance costs will help you better manage your household finances by being prepared for the annual spend. 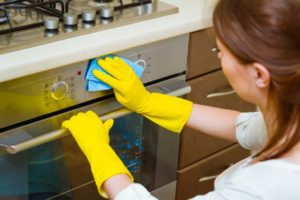 Maintaining your home will also help you prepare for the lifecycle of your equipment and appliances giving you time to save the money for replacement. Maintenance costs include services like hiring a contractor to help around your home like cleaning your gutters, landscaping, and repairing and maintaining your equipment and appliances. Depending on the age of your home, your maintenance costs can be between 1 – 4% of your total home value. Newer homes have less annual maintenance while older homes require more maintenance. Repairing items can be expensive and may be treated as a home fix it or repair project. 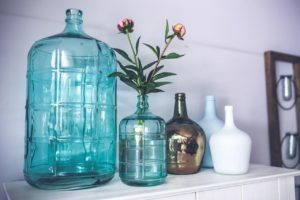 Household finances would not be complete without understanding what the value of the contents inside your home are worth. Nothing worse than buying all these beautiful things and then have a thief come into your home and steal them. Tracking your belongings will help you if you need to make a claim to your insurance agent, if you are moving, identifying your high value items and collectibles and help you basically know what you own. Knowing the details of what you own will also help you manage your overall spending on items. Home Remodels is a large business and we all want to keep our homes looking fresh and up to date with new designs and decorating. Projects require dollars from your savings or a loan to help cover the costs to add an addition, redesign that kitchen, refresh your rooms with some new paint and gut the whole house and completely redesign it. 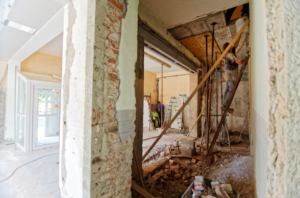 Home remodel project costs can be tricky because you may need to manage contractors, items that you choose for your home and the ongoing costs that are needed to complete a project. It is easy to go over budget if you are not paying attention to your project finances and this could affect your overall finances. 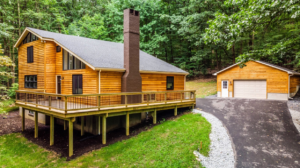 If your project is too over budget, you may have to say goodbye to that family vacation. 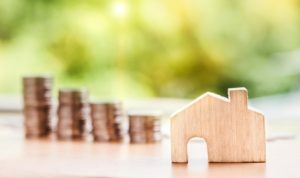 Managing household finances can help improve your visibility into all your budgets giving you the best ability to make the best decisions about your home. Track all of your household finances in one central location with HomeZada. 10 Tips for Better Bathroom Organization Drawers – Where Things Disappear!